Proudly servicing Burnaby, Port Moody, Port Coquitlam, Surrey, Langley and the surrounding areas! WOW 1 DAY PAINTING Fraser Valley We bring a fast, affordable and high quality solution for all interior or exterior residential, commercial and industrial painting projects. We respect your time as much as you do and provide the quality paint job you expect, in a timeline that is unexpected. 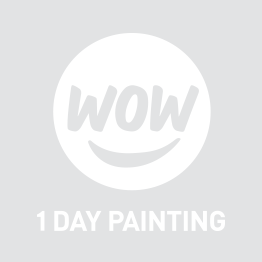 We are the local WOW 1 DAY PAINTING franchise and we are very excited to offer you an exceptional service, high quality workmanship, a state of the art call center, online booking system, and professional painters that truly care about offering you that WOW experience! 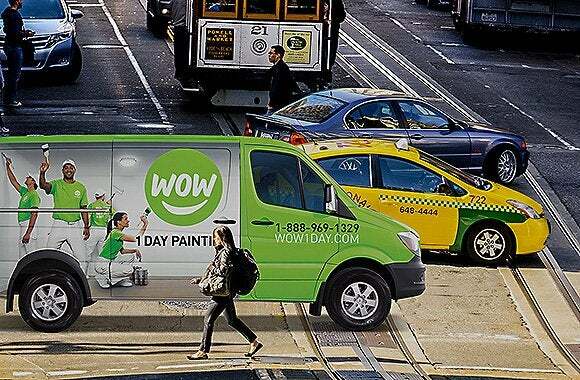 Hopefully you have seen our WOW 1 DAY PAINTING van parked around the Fraser Valley area. I’m sure if you live in Burnaby, Coquitlam, Port Moody, White Rock, Maple Ridge, Delta, Surrey, or Port Coquitlam you have seen us! Our Fraser Valley painters can breathe new life into your home while you immerse yourself in the lush dense forest and remarkable hiking trails. When you return, you’ll be amazed at how a quick paint job can make your house feel entirely new. Not only does painting make your house look better, it can also increase curb appeal and boost the value of your home. This is great if you’re thinking about putting your home on the market. We guarantee to provide you with great quality while getting things done in just 1 day. SPEED + QUALITY = WOW! Refresh your home and give the walls a makeover. This can change the atmosphere, instantly making your living space look clean, new, and inspiring. 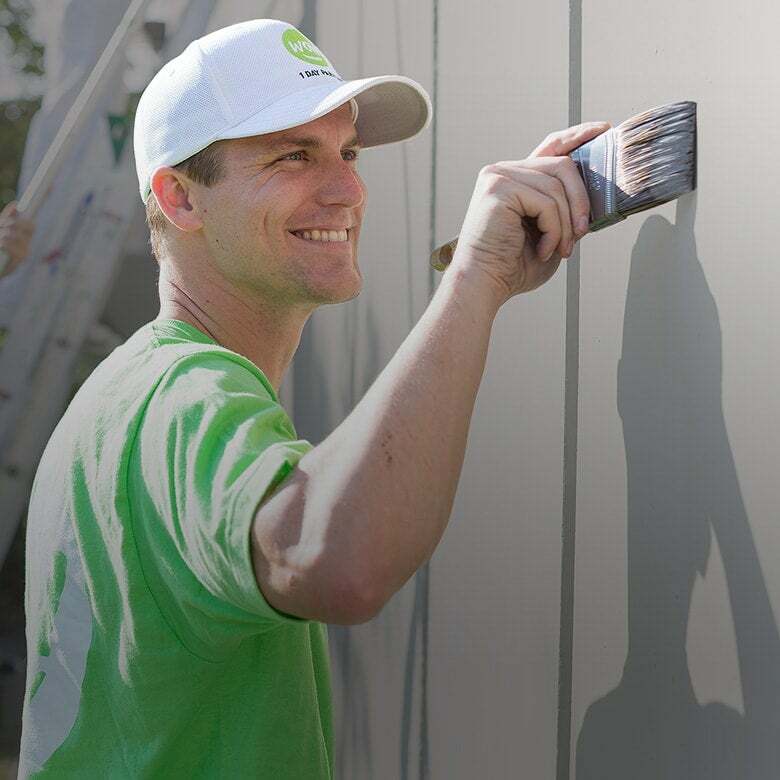 Our painters are ready to tackle any project, whether it’s just one room or the whole interior. We can paint the interior of your home during any season. Prior to painting, our professional painters will prepare the surface by filling in cracks and holes in the wall and sand down any rough surfaces. The paint on the exterior of your home is its first line of defense from rain, wind and snow. Our painters are experience in painting brick, stucco, wood, vinyl sidings, cedar shingles, wood trim, and doors. Prior to painting we prep the surface by scraping off peeling paint, caulking cracks, sanding rough surfaces, and pressure washing the entire house. This will ensure paint adheres properly and prevent peeling and flashing later on. We use low and zero VOC paint, which is better for the environment and your health because fewer toxins are released into the air. You can choose among a variety of paint colours and sheen by Sherwin Williams, Benjamin Moore, and Dulux. It all starts with a free onsite estimate. Our estimator will come and review your painting needs and provide you with an accurate quote in writing. We will call prior to paint day to confirm arrival time and paint colours. On paint day, our friendly crew will arrive on time and get right to work. We will make sure to protect all your floors and furniture before we pick up our brushes. After we paint, we ensure a spotless cleanup from putting your furniture back to cleaning up any splatters and we even take out the garbage. Our goal is for you to come home noticing only the fresh paint. We are ready to help transform your home. Call us today or book online to schedule your free, no-obligation estimate with painters in the Fraser Valley. We are proud to offer the quality you expect in a timeline that's unexpected. Don't just take our word for it—get in touch with us today to see for yourself!